Cole Day couldn't see his own hand on front of his face. Thankfully, he was smart enough to open his eyes and try again. But he still couldn't see. Oh, and his trousers were down and around his ankles. Misty Morning has covered Shiverton in a dense fog, and is using this swirling camouflage to pull down trousers all over town. 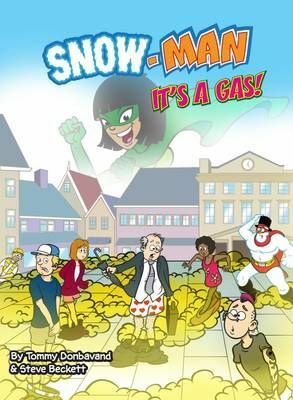 Can SNOW-MAN and his team stop her before she can embarrass no less than the mayor himself - on live TV? !